Download and fill out the forms below if your child is participating in any athletics activities. Please review the important athletics information below. We have an amazing group of athletes this year! Check back soon for individual sport information and achievements. Take a look at our sports records set by our awesome student athletes! The athletics program at UME Prep provides a variety of interscholastic athletics teams in which we encourage our students to participate. It delivers opportunities for the student-athlete to engage in interscholastic competition with integrity and a spirit that honors the high behavioral standards of the Academy. Life lessons are learned through team participation, and the values of work ethic and reliability; good sportsmanship; self-motivation; and self-discipline, commitment, and perseverance are stressed to each team member. The athletics program values safe and fair play and has an appreciation for playing to win and being gracious in victory and defeat. UME Prep currently competes in the Texas Charter School Academic & Athletic League (TCSAAL) and the Texas Christian Athletic Fellowship (TCAF). As our charter grows, our athletics program will grow along with it. We will soon be offering more sports to accommodate all. Thank you for your continued support of UME Prep athletics. Our teams exist only because of the sacrifices our student athletes make to be involved in them. 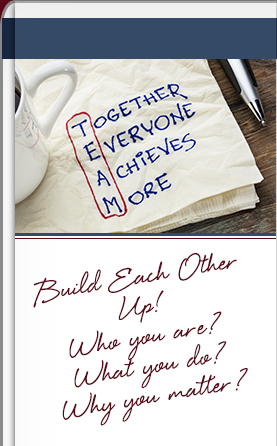 Without the individual person, there can be no teams, and we consider each individual person on our teams an asset. Our duty as coaches is to protect our assets. Together, as a staff, we are dedicated to ensuring the safety of our players in all activities during scheduled team events. Varsity Volleyball tryouts are open to 7th-11th grade girls. Varsity Flag Football tryouts are open to 9th-11th grade boys. Dates: Monday, August 10 and Tuesday, August 11 - 9:00 a.m. - 12:00 p.m. Dates: Thursday, August 13 and Friday, August 14 - 9:00 a.m. - 11:00 a.m. Dates: Wednesday, August 19 and Friday, August 21 - 1:30 p.m. - 3:30 p.m. If you have any further questions, please e-mail Coach Ignatz.